Inter Milan shown an improvement in their last few matches before the Christmas break but the club’s general manager, Ernesto Paolillo, urged his players that they must improve the club’s position in the second half of the season. 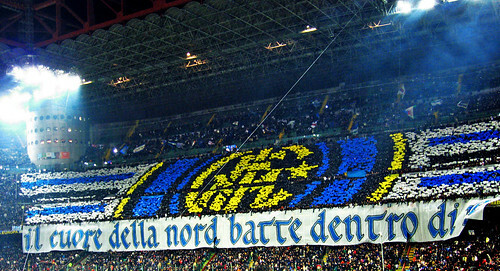 Paolillo stated that getting into the Champions League zone should be the minimum target for the Nerazzurri by the end of season as finishing below that would really jeopardize the club’s finance and transfer policy. The general manager revealed that with the activation of Fifa fair play rule soon, they are forced to take a careful measure in their financial status mainly on the club’s transfer policy. That’s why it’s essential for the Nerazzurri to keep on playing in the Champions League as that would make their finance much more stable than if they only qualify for the Europa League, which would make the club cut more expenses. “When UEFA’s new financial fair play regulations come in, we will all sooner or later have to knock down our expenses. Qualifying for the Champions League is fundamental, as without third place we’d have to further reduce our budget,” Palolillo said. Moreover, the manager honestly revealed to the fans that they should not be expecting a super big signing this January as the club won’t go overboard with their spending. Palolillo only claimed that they will only try to look for players who can fill in the holes in the squad, which suits the characters that their coach, Claudio Ranieri, is looking for. “Do not expect any big January buys, as we will only do what is necessary to fill the gaps. There is less money around and the rules wanted by Michel Platini force a more careful gestation of resources.” Palolillo revealed. Rumors from Italy suggested that Inter are very keen on acquiring the likes of Lucas from Sao Paolo and also Fc Porto youngster, James Rodriguez. Those names are obviously players who could excites Interisti but considering what Palolillo’s stating, it’s very unlikely for the Nerazzurri to prize up those two since both of them are being tagged rather highly by their clubs.